dabong! társasjáték - Magyarország társasjáték keresője! A társasjáték érték! A dabong! egy kiváló társasjáték, 2 - 5 játékos részére, az átlagos játékidő rövid, csak 15 perc. A társast, 7 éves kortól ajánljuk kipróbálni. A játékmenet erősen épít a pakli tervezés mechanizmusra. 2 - 5 players take turns laying down cards in a central pile. Instead of the basic suits found in a standard deck of cards, dabong! uses Earth, Wind, Water, and Fire. The most common way a player lays down a card is by matching the suit or number of the card in the pile to a card in the player's hand. However, there are additional options to play the players can play cards of the same suit that add up to the number in the middle. For example, if a 10 of Fire is in the central pile, a player could play a 2, a 3, and a 5 of Water all at the same time. A player wins when he/she has used all of his/her cards, or through a dabong! 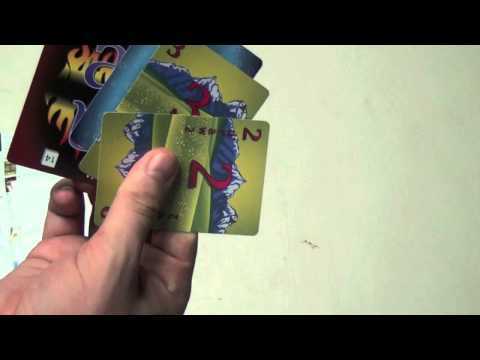 A dabong occurs when a players cards add up to the central card, regardless of suit.